In a significant ruling concerning the “grave risk” exception to the Hague Abduction Convention, the European Court of Human Rights, Fourth Section, has ruled that the country of Georgia violated Article 8 of the European Convention on Human Rights by failing to return a child to Ukraine on the grounds of “grave risk.” GS v Georgia (Application No. 2361/13). The trial court in Georgia had denied the mother’s petition for the child’s return on the ground that the child had suffered a trauma in Ukraine as a result of the death of his sister. Although an appeal court had overturned that ruling, the Supreme Court of Georgia had reinstated the original decision. The European Court concurred that the child’s psychological trauma was a relevant factor to be considered during the boy’s return proceedings, but it disagreed with the subsequent reasoning of the Supreme Court, which led to the finding of the existence of a “grave risk” for the child in the event he was returned to Ukraine. Although the Supreme Court had used general phrases such as “physical or psychological harm” or “otherwise intolerable situation” it had failed to explain what those risks exactly implied. Significantly, the father had not asserted that the applicant herself posed a threat to the boy. Further, there was no expert evidence in the case file to suggest that the return to Ukraine as such would exacerbate the boy’s psychological trauma. 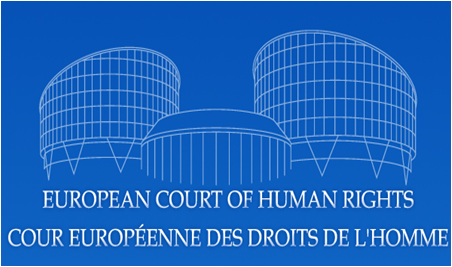 The European Court criticized the fact that the social worker and psychologists’ reports had proposed an analysis of the implications of the child’s possible return to Ukraine; and there had been no exploration of the possible risks in this regard. The psychologist’s report had merely stated that the boy had experienced psychological trauma and was in need of assistance, which the applicant did not contest. On the contrary, as someone with a medical background, she had consistently reiterated before the domestic courts her readiness to provide her son with the required psychological assistance in Ukraine. Accordingly, and also having regard to the facts that no expert examination was conducted concerning the implications of the child’s separation from the paternal family, and that the living conditions awaiting the boy in Ukraine were also left without consideration, the Court found that Georgia’s argument about possible psychological trauma due to the child’s separation from his father and the paternal family, was misconceived. Since there was no direct and convincing evidence in the case file concerning the allegation of a “grave risk” for the child in the event of his return to Ukraine, the ruling by the Supreme Court of Georgia was erroneous. The European Court then criticized the Georgian Court for having failed to properly determine the child’s best interests in view of the specific circumstances of the current case and to strike a fair balance between the parties’ conflicting interests. It is noteworthy in this regard that the European Court has continued to insist that “best interests” must be considered in European determinations under the Hague Abduction Convention. Specifically the Court stated that, “The Court reiterates in this connection that it has repeatedly emphasised in its case-law that the best interests of the child are to be the primary consideration in all decisions relating to children (see X v. Latvia, cited above, § 96 …” The European Court then provided an analysis of its opinions as to where the child should best live. Such an analysis, this writer respectfully contends, is itself in plain derogation of the terms of the Hague Abduction Convention. See my article on the European Court’s ruling in the Neulinger case.